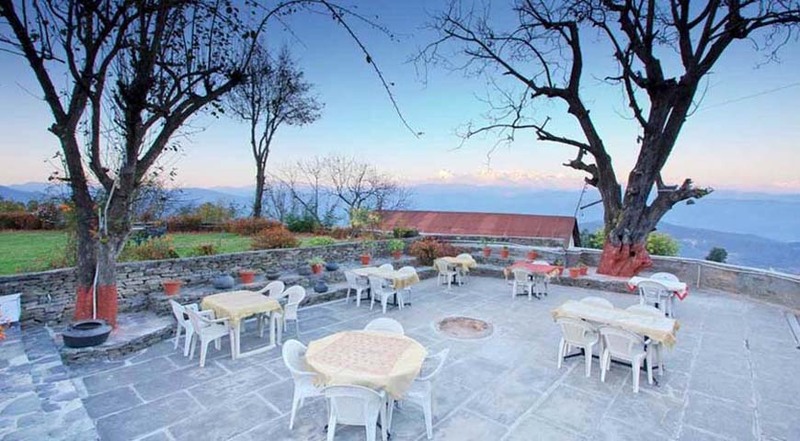 Tucked in the lap of the Himalayas and facing a 300kms of unbroken stretch of the eternal snow hills, this leisure lodge is situated in Kausani, which is 53kms from Almora. 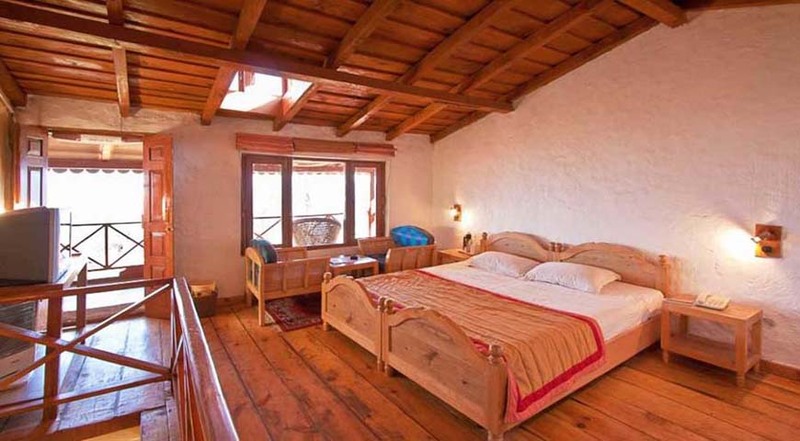 The lodge is designed in ethnic architectural heritage of Kumaon, and is maintained with 12 comfortable rooms with all modern amenities. The breathtaking view of the surrounding landscape and the mouth-watering cuisine served by the expert chef of the lodge adds to an unforgettable and charming holiday experience.! 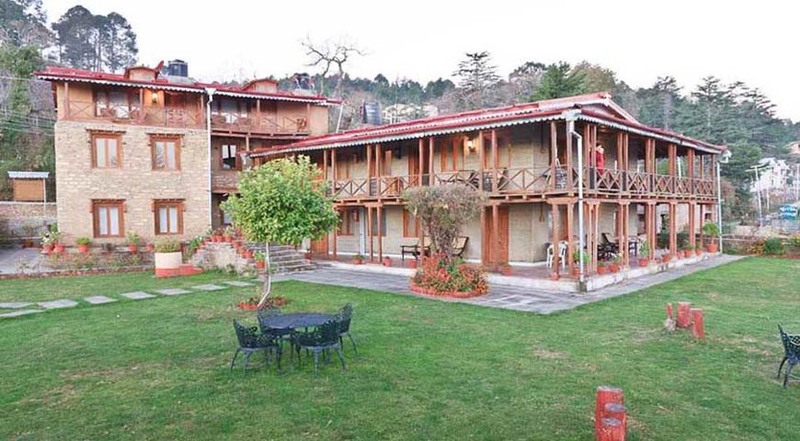 Chevron Eco Lodge is 2 kilometres from the Kausani bus stand. As the name suggests, the lodge seeks to sustain itself by eco-friendly means and thus has solar powered lights. 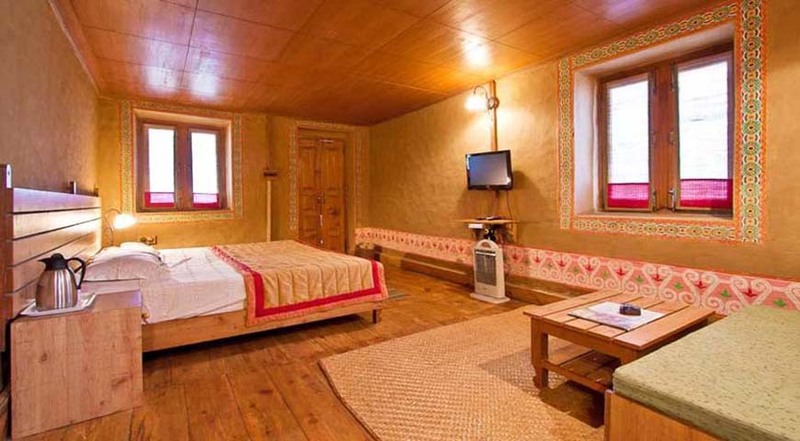 Built like a machan, it is modelled on the lines of a typical Kumaoni house in villages, using only stone and wood. The resort gives you a taste of the rural lifestyle - it's very quaint and beautiful. 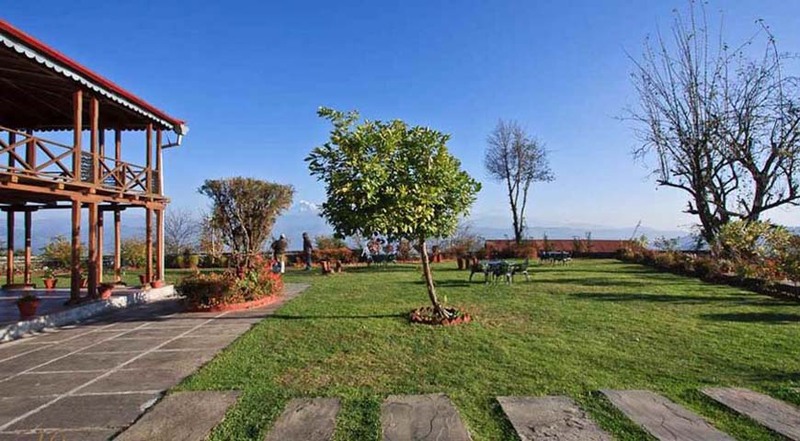 Add to this the panorama of the Himalayan snow peaks spreading in front of you, and you will be charmed.